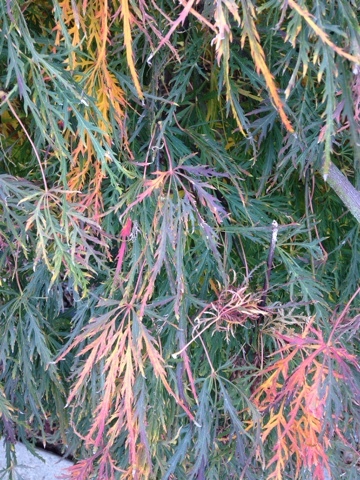 This is a photo of our Japanese Maple tree. It has so many pretty colors. The leaves are very lacey as well. Enjoy.